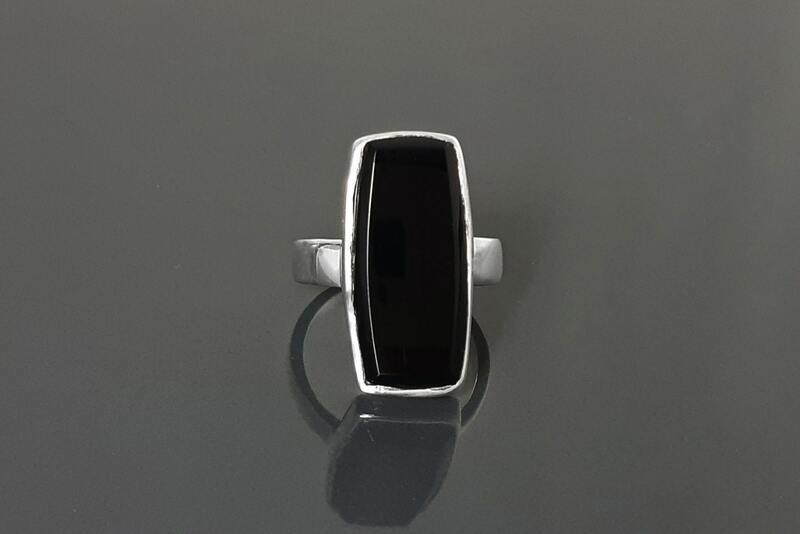 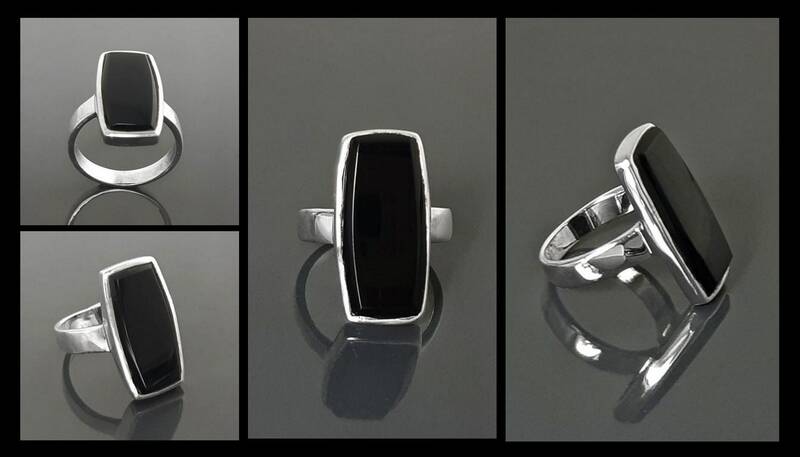 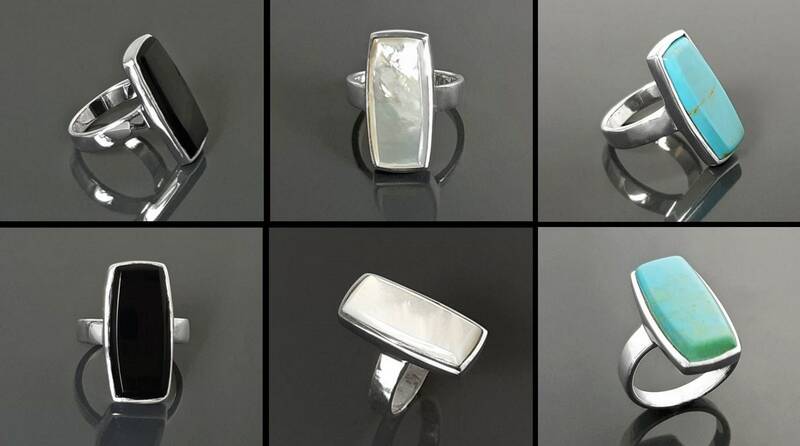 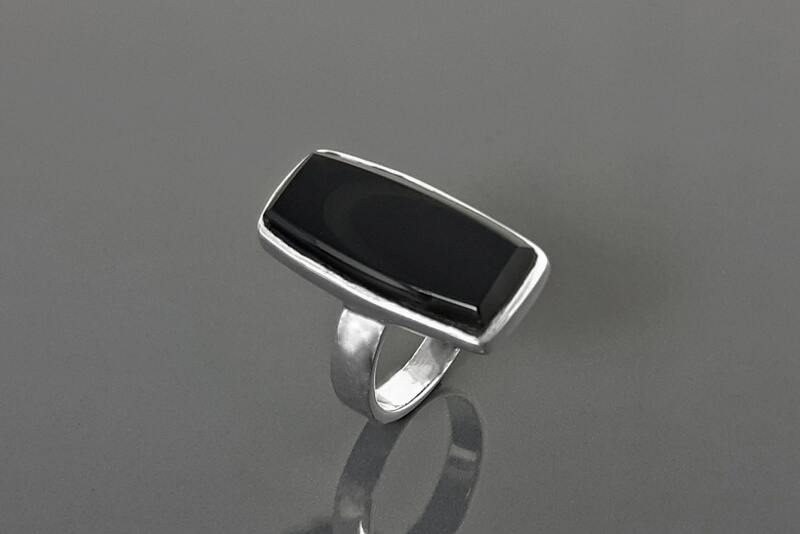 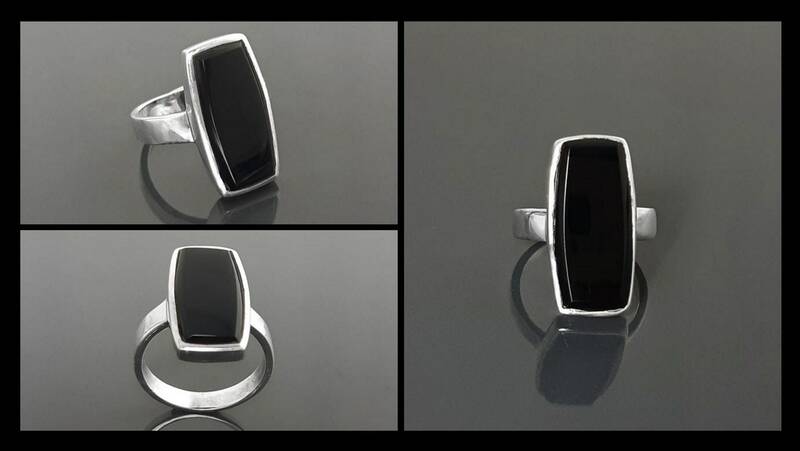 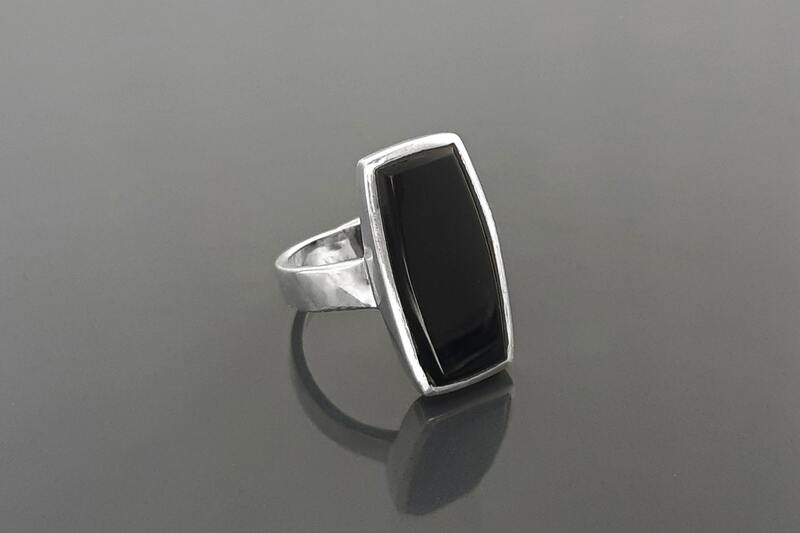 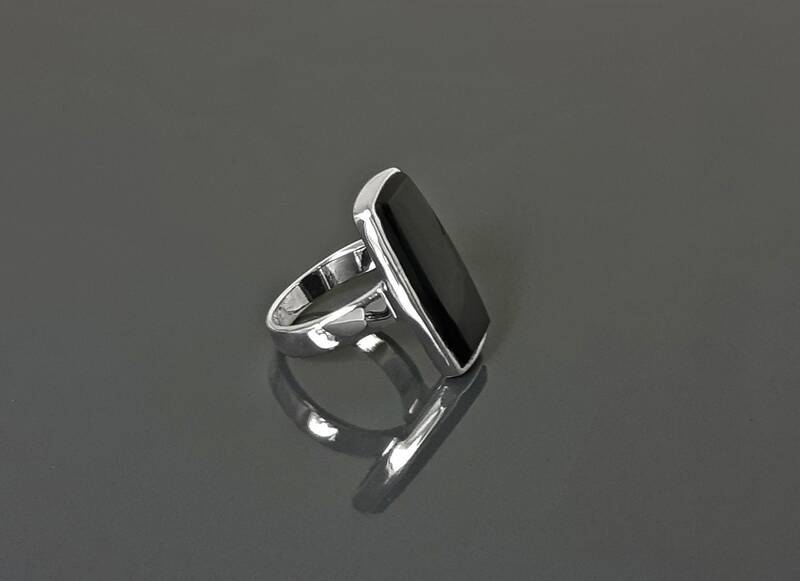 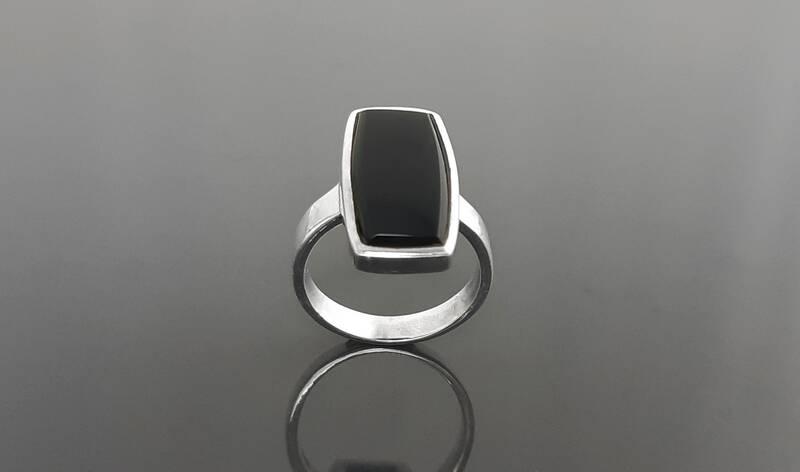 Simple and modern in design, this sterling silver statement ring is set with a rectangle black onyx stone. 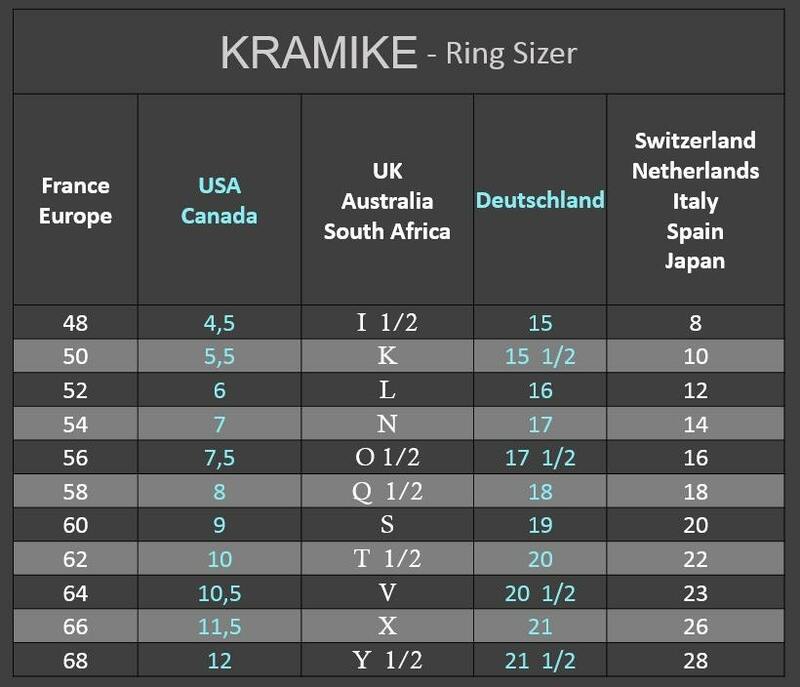 Love my ring & love Kramike the designer: so talented & so generous. 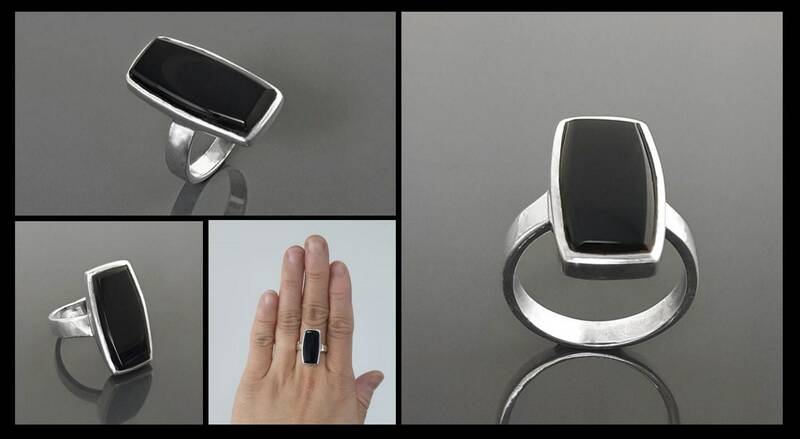 Many people are giving me huge compliments on my ring.